Would you like some food with your plastic? A few days ago, our Social Media Coordinator Amy filled you in on the story of Joe Hanson, a young man who was horrified to find out that individually wrapped Jelly Belly jelly beans existed, and furthermore that these tiny little wrappers were made of petroleum-based plastic. Besides making them more annoying to eat, wrapping such a teeny-tiny item in plastic is a major waste of finite resources. Not to mention these wrappers are the perfect size for ocean animals to gobble up. The worst part about our plastic filled societies, is that so many things are just completely unnecessarily wrapped in plastic, like our friend the individually wrapped Jelly Belly. 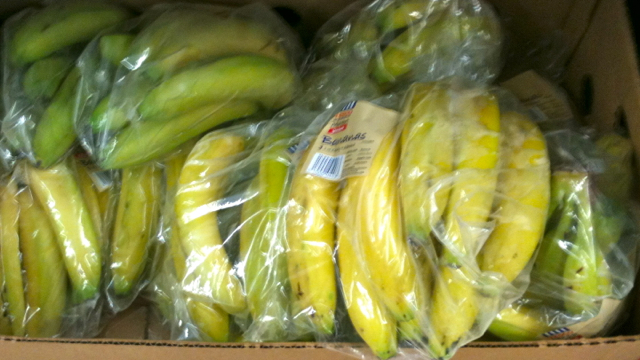 Yes...because Bananas' natural thick skin isn't enough? 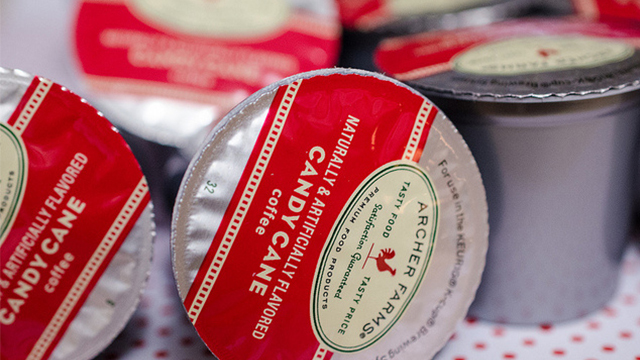 It's nature's ideal packaging, nothing extra required. 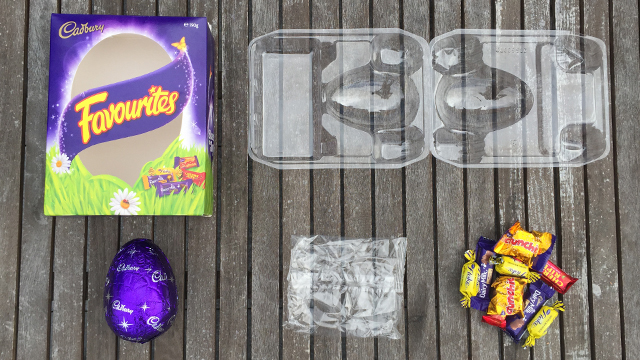 Aluminium wrapped chocolate, wrapped in plastic, and more plastic and finally cardboard packaging. What more can I say. What's wrong with this picture? everything! 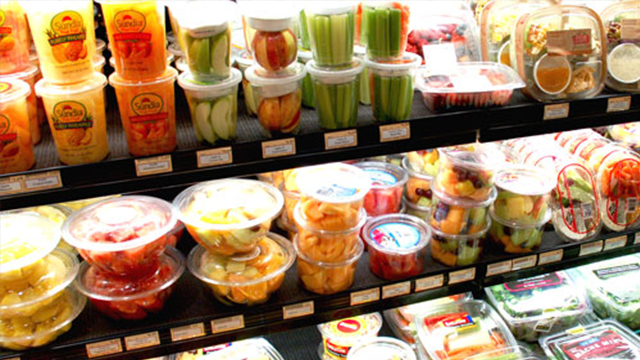 Not only do mass-market pre cut vegetables generate a bigger carbon footprint because of transportation and cleaning, but their packaging alone adds to landfills and contributes to pollution. 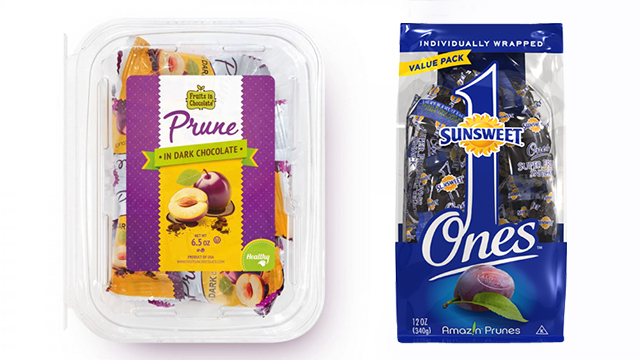 Pre -wrapping prunes might make them easier to eat on the go, but is it really necessary? So much plastic! It would be just as easy to take them with you as a snack in a reusable container. A small plastic cup, lined with paper, filled with coffee grounds and covered with an aluminium lid. These devils are the most unsustainable and over packaged form of coffee there is. PLUS these little guys are very difficult to recycle . Always say 'NO' to wasteful packaging.